Before I give you curry recipes (which to be honest, is why you’re here), I want you kids to be able to make decent rice. Only one person I’ve met seems to be able to make good rice, and that was the person who taught me all those years ago, silly illustrator Tom Plant. I’ve used this technique with various kinds of rice, and it has never let me down. I start cooking the rice at the beginning of making the meal, because the resting period in the pot really helps even out and separate the rice, and it will stay warm in the pot long after you’ve taken it off the heat. Use the smallest hob, and speed things up by boiling your water in the kettle before you measure it and add it to the pot. Once you’ve put the rice in, you’ll be able to feel and hear when the water is re-boiling without removing the lid. 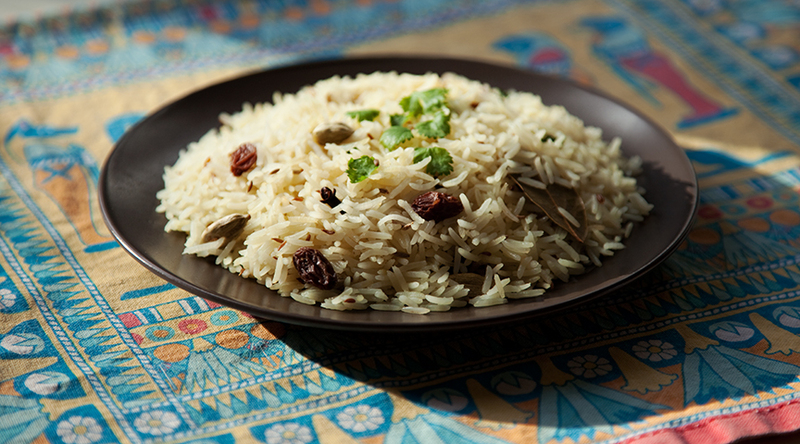 You should also be able to tell if the rice is ready to be turned off; if it is quiet and there is less steam rising from the pot, all the water has gone and it’s time to check. Whenever you do remove the lid to check, be quick about it! You don’t want too much steam to leave the pot. Ideally you should fry the whole spices in ghee / butter in the pot before you add the water, to better release the flavours. Otherwise just add the spices and other ingredients when you put the rice in. Crack the cardamom pods beforehand, the flavour from the seeds is amazing – don’t worry about eating the seeds! I would wash your sultanas, just grab a handful, rub them between your hands under the tap and chuck them in the pot. 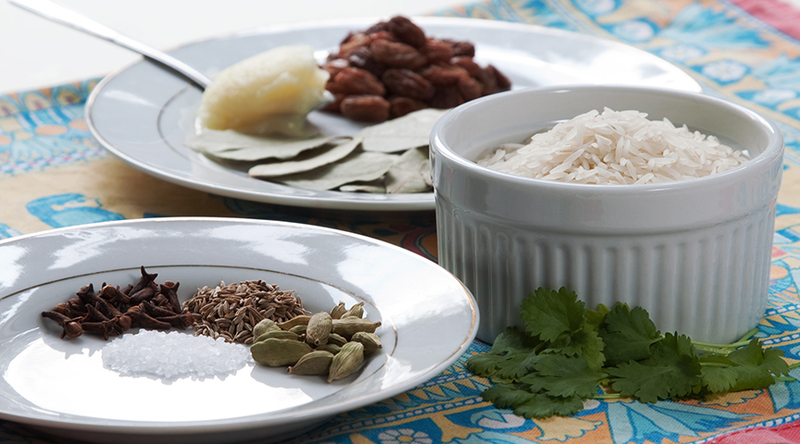 I’ve had many different incarnations of pilau rice (and under many different spellings), experiment with any combination of these ingredients with different curries to find what’s right for you. Buy this stuff from an Indian place, as the supermarkets will just rip you off. 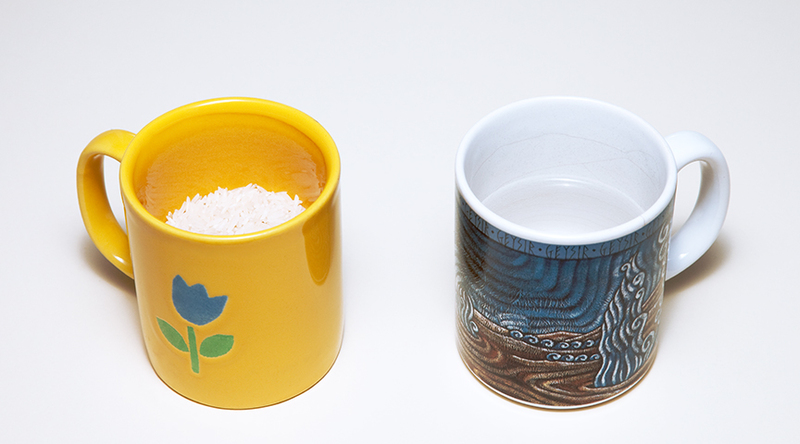 No salt is needed when you are cooking jasmine or sushi rice. – Bring the water to the boil, add the rice + salt, put the lid on. Bring to the boil again, then turn the heat to minimum and leave for ten minutes. 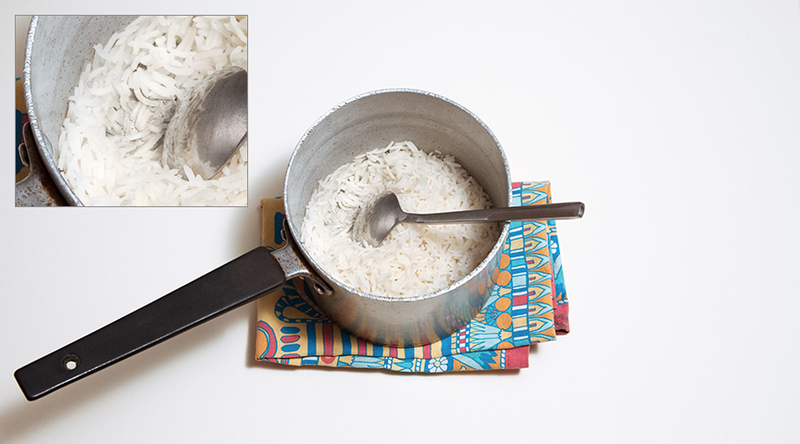 – When you think the rice is done, remove the lid and scrape the bottom with a spoon. if it is still wet and not sticking to the bottom, it’s not ready. – Once it is sticking (see above), turn the heat off and leave with the lid on for at least ten minutes. This entry was tagged Cardamom, Cloves, Coriander, Cumin, Ghee, Pilau, Rice. Bookmark the permalink. ha! never thought there’s a recipe for good rice. today, besides my carribean/indian/lithuanian curry (first time ever) I made perfect rice (also first time ever). the curry was not so perfect, though..